Ser.Tec. 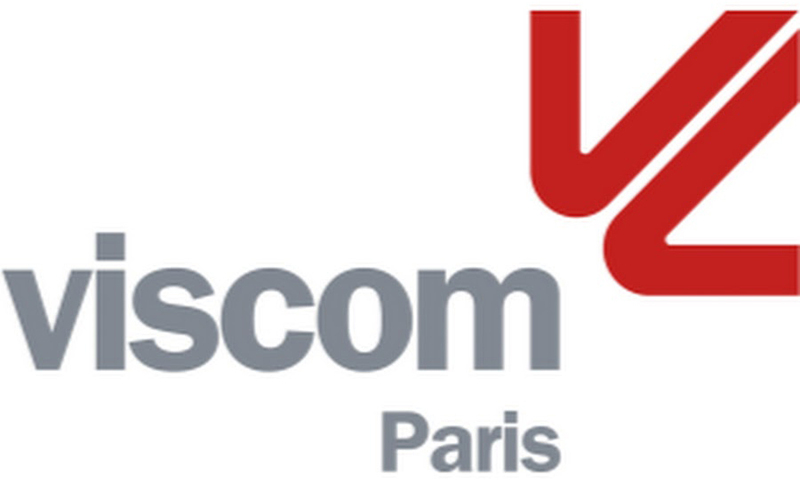 group will participate at the Viscom Milan 2016 with the latest news in the print field. For the event there will be exposed the new Eagle UV 70, with a new design and a completely new print engine that allows to print with higher quality without increase the print time. During the event will be presented at the Italian market the new DTG Digital M3 for the textile printing with almost photography quality and an innovative digital printer to create screen printing screens directly from the computer with high quality, precise positioning and an incredible speed reducing drastically costs and time for the creation of a screen. The appointment is at stand E32 hall12 from 13 to 15 October at Rho Milan. Out staff is waiting to show you the latest news of a growing sector. 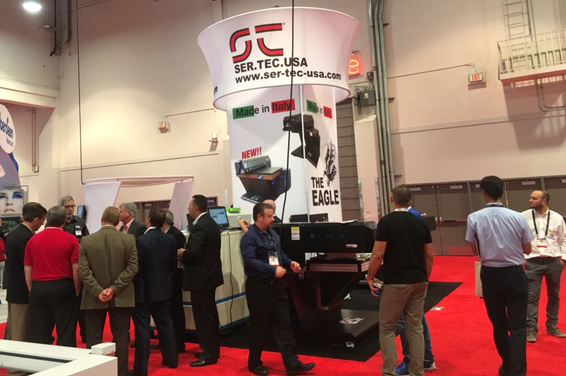 Ser.Tec group has participated with the U.S.A dealer Sts Inks at Sgia 2016 with the new Ser.Tec. U.S.A. brand. The opening of Ser.Tec. U.S.A. is a new challenge for Ser.Tec group, more and more projected to become a global digital producer. For the event, one of the most important of the American market, was present the new Eagle UV 70 and the Eagle TX 60. 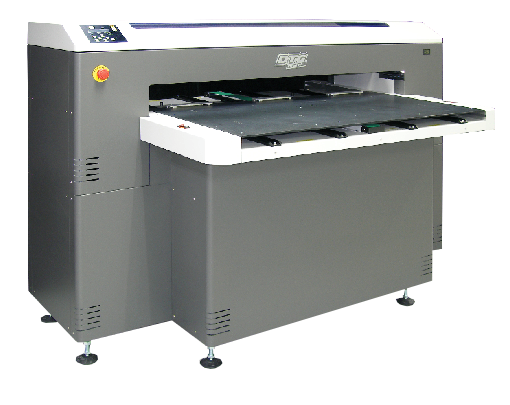 The Eagle UV 70 characterized by the new design and the new print engine has highlighted for the print quality and versatility, being able to print on countless materials thanks to UV Led technology and specifics inks. Both printers has caught positives opinions for the wing design that allow to load and unload the material comfortably even while the printer is working. 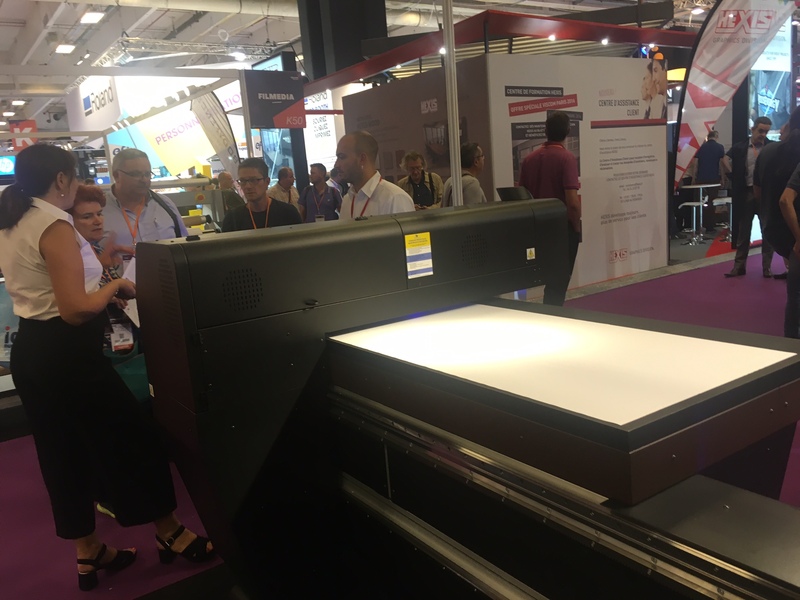 The new Eagle UV 70 was present at Viscom Paris 2016 with our French reseller Thermoflan. The visitors were attracted by the innovative design of the printer and the high quality prints. 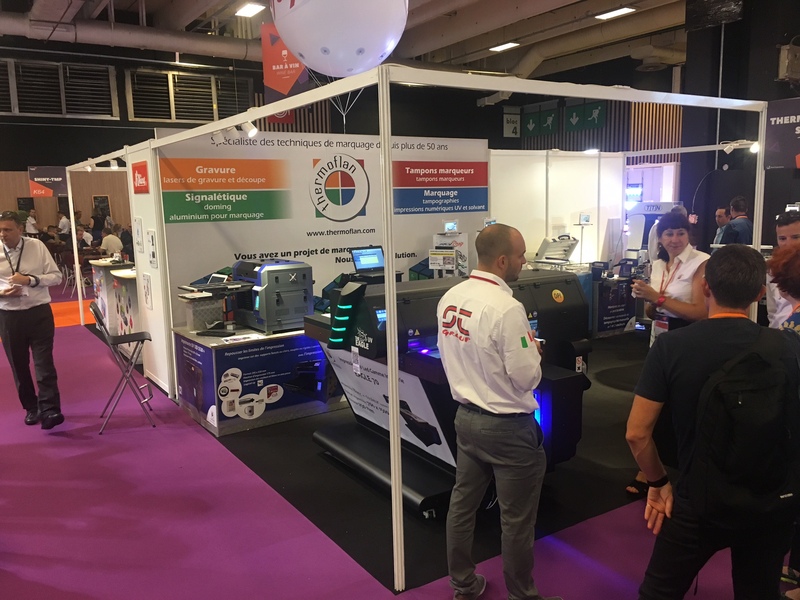 The number of visitor was high for all the exhibition days confirming the interest of the market to new printing solutions. The Ser.Tec. Group will continue to show the new Eagle UV 70 to the market. 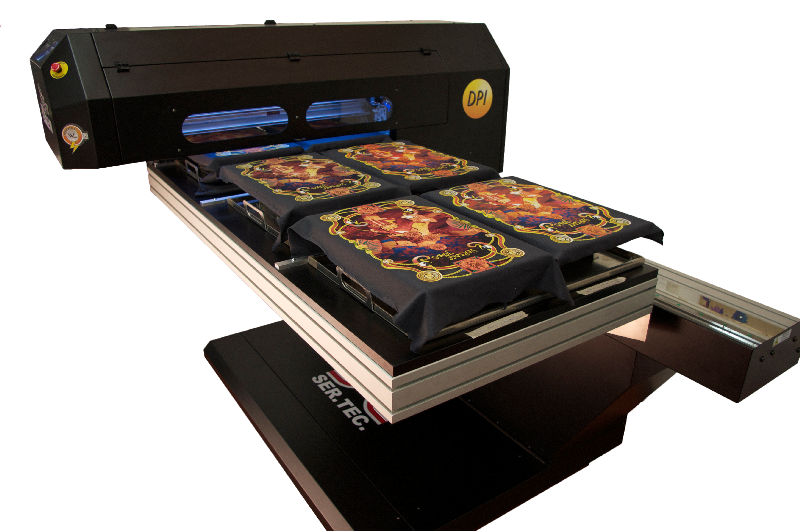 After the recent Viscom Paris and Las Vegas Sgia the new innovative UV Led printer will be at Sign2Com in Belgium. 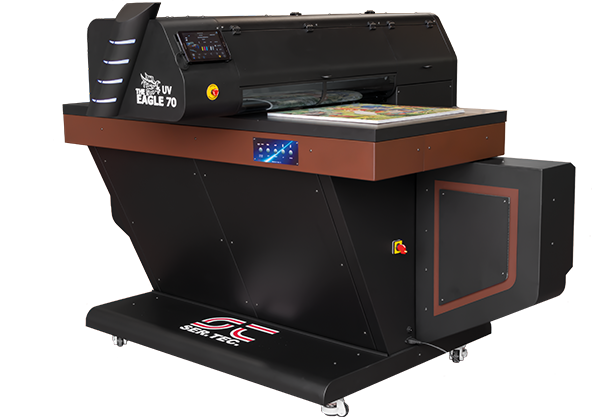 The printer will be, with our staff and the textile version of Eagle 60, at C.V.L.H.S stand number 4127. Sign2Com will take place from 25th to 27th of September at the Kortrijk Xpo Conference Center in Courtrai. Come visit us! Our staff is waiting to show you our new Eagle UV 70 and our printing solutions! 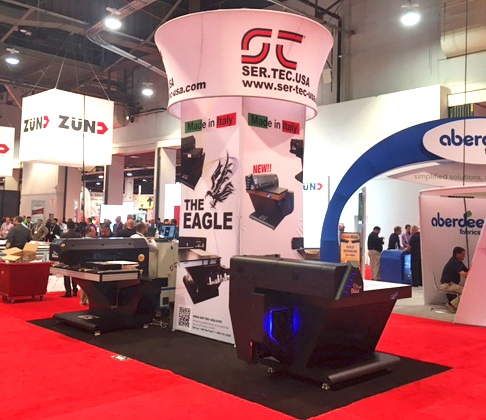 Sertec Group is preparing to launch the new Eagle 70 in the market with two important international fairs. 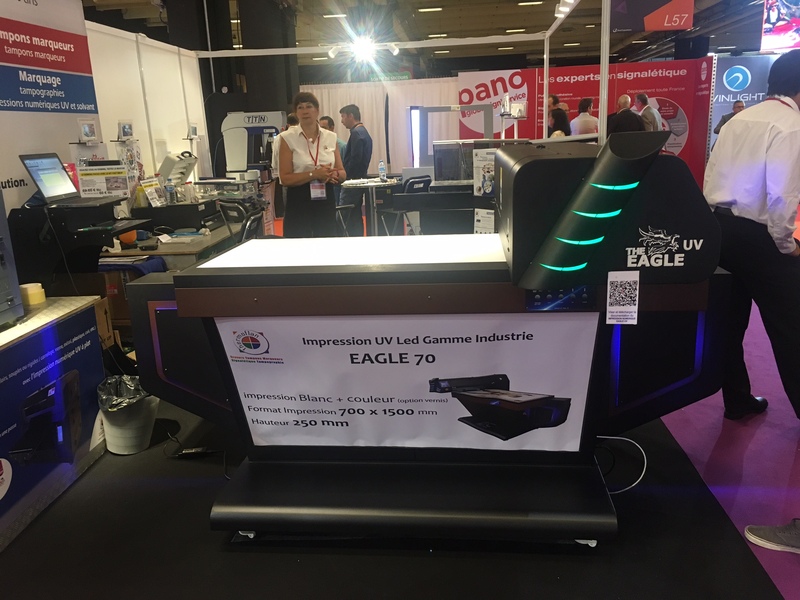 The first occasion to see Eagle UV 70 will be the Viscom Paris that will take place from 6 to 8 September at the "Porte de Versaille" complex in Paris. 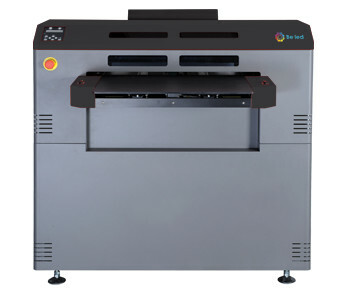 The Eagle UV 70 will be present at our dealer Thermoflan stand 7.1-L57. Only a week later we will be with our dealer STS Inks at the Las Vegas SGIA. 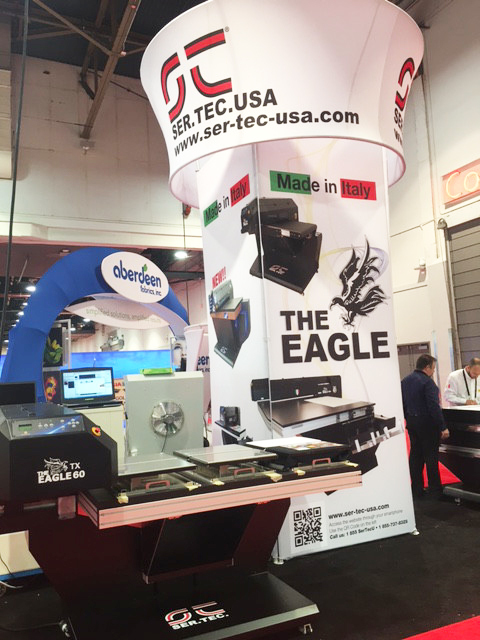 It will be possible to see Eagle UV 70 at stand 1001 of Las Vegas Convention Center from 14 to 16 September. In both events our technicians will be at your disposal to show you the potential of our printer and to answer at your questions. 04 to 28 August 2016 included. For consumables orders the last day for shipping is 03/08/2016, orders recived after that day will be processed after 29/08. Remember to prepare your machine for long time stop, if you got any doubts contact our technicians!! Online support service will be operative from Monday to Friday.